Hotel Meghma is located on Gandhi road and is about 12-15 minutes leisure walk away from the Mall. This is a leased property run by a Kolkata based person Mr. Tapan Ghosh. The hotel offers 2-Star facilities. 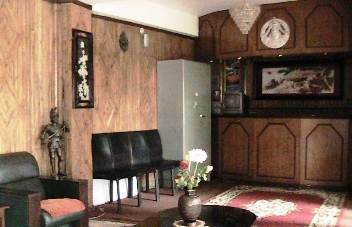 There is also another annex building of hotel Meghma which offers rooms at more economical rates. The annex building is located further down on Gandhi road. 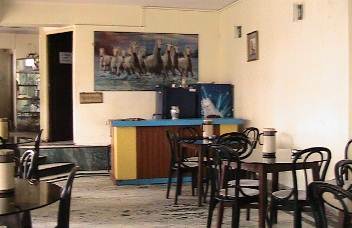 Hotel Meghma, which is named after a tiny mystic place located on the way to Sandakphu, is about 12 years old. The group has other hotels also in Darjeeling, Puri and Gangtok. As you enter through the main door, right in front is the tiny wooden reception counter. 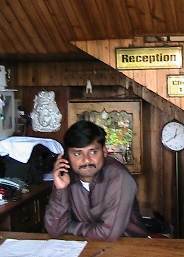 You will often find the manager Purushottam at the counter. He is a helpful person and has a lot of knowledge about Darjeeling and surrounding areas. I was surprised to know from him that he is actually a South Indian. He speaks fluent Bengali and you won't even have a doubt that he is not a Bengali unless he tells you so. He has spent a lot of time in Kolkata though and learned the language from there. There is a staircase that goes behind the reception counter to the upper floors. On the landings there is a sofa kept. From here you can get the back side view through the glass panes. There are 20 rooms in the hotel and of different categories like Executive double/four bedded rooms, Super Deluxe, Deluxe double/four bedded rooms, and a family suit. Rooms are of standard size and carpeted. All rooms have a TV with cable channels, phone, full length wall mirror, etc. The larger (4 bedded) and executive rooms have cushioned chairs and glass-top tables. Attached bathrooms have geysers for hot water. The geyser works when the main power supply is available. There is a backup generator in the hotel that supports some of the lights in the hotel and in the rooms. A restaurant at the reception level serves both vegetarian and non-vegetarian food. They prepare Indian and Chinese dishes. The restaurant also offers Bengali food. This is one of the reasons why this hotel is preferred mainly by the Bengalis. Other amenities in the hotel includes Laundry service, travel desk, doctor on call etc. The amenities are similar in both the main hotel and the annex building. Only the quality of the rooms are a little different. Even the annex has its own restaurant. There is also a large sitting area or a lounge next to the reception. It has wooden paneled walls. There are sofas and chairs laid out for one to relax and read news papers. The hotel is conveniently located on Gandhi Road. The Mall and the Town Center is within walking distance. However this is a leased and not an ownership property and has signs that many such similar hotels in Darjeeling typically have. Maintenance is low and cleanliness can be an issue. Do not expect personalized services as this is a commercially oriented hotel and keeps low quality staff. However as I had mentioned before, the manager Purushottam is very nice and friendly. He will try to help you out with your requirements. Most of the bookings in this hotel comes from tour operators who does group bookings bringing mostly Bengali tourists. If you are booking directly, ensure that you pay out the required advance amount, or otherwise you may get a shock when you land up. Your booking may get canceled and given away to others. Hotels that run on lease typically have these syndromes as they want to eliminate any possibility of loss and like to maximize on profits. They have to after all pay out the lease amount to the actual owner of the property. Although the frontage of the hotel is nice, there are no rooms with great views. Close to Hotel Meghma, a narrow side-road bifurcates from Gandhi Road and leads to the Hotel Meghma several yards away. From the hotel, the Chowrasta Mall is about 12-15 minutes walk. 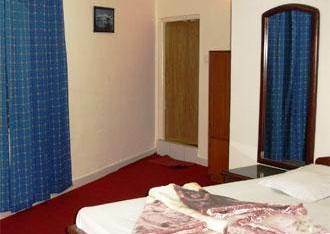 Hotel Meghma, 15 Gandhi Road, Darjeeling 734 101, India. 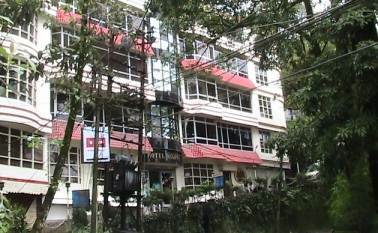 74 Gandhi Road, Darjeeling 734 101, India.